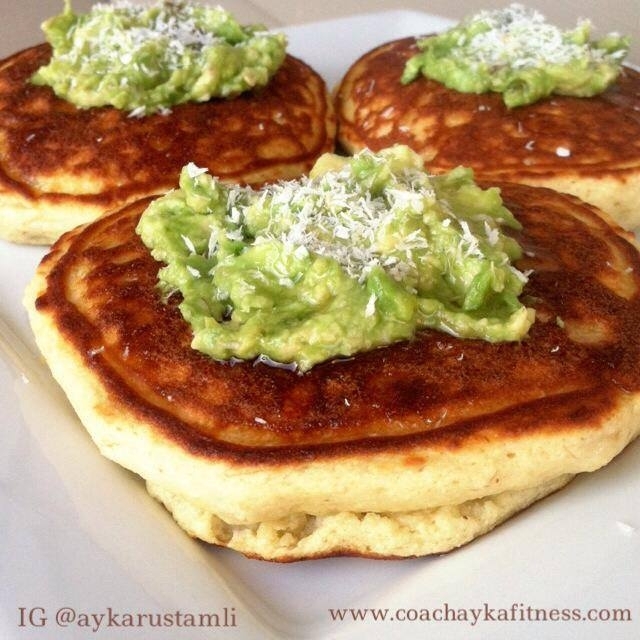 Do you want thick, moist, yummy, healthy pancakes? Then try these out. Mash 1/2 small ripe banana and add 2 eggs and 1 tsp baking powder. Whisk very well with a fork. Now add 1 tbsp ff greek yogurt, 1 tbsp oat flour and 2,5 tbsp coconut flour. Mix and cook on a pan covering with a lid. They come out just perrrrrfect. I topped mine with 1/4 mashed avocado and drizzled woth some honey. Give them a try.